Love hot wings but hate the mess? Me too! I was determined to come up with a recipe that had all the flavor of hot wings in a whole chicken. I think I pulled it off, at least it was devoured and tasted like wings. I asked a few people why hot wings usually only come as wings. Most people like wings because of the tender juicy meat, also the way the small wing can absorb the flavor from the juices. This isn’t scientific, just the opinions o fa few of my friends. So, I thought about how you get a turkey extra juicy by using a brine on Thanksgiving. 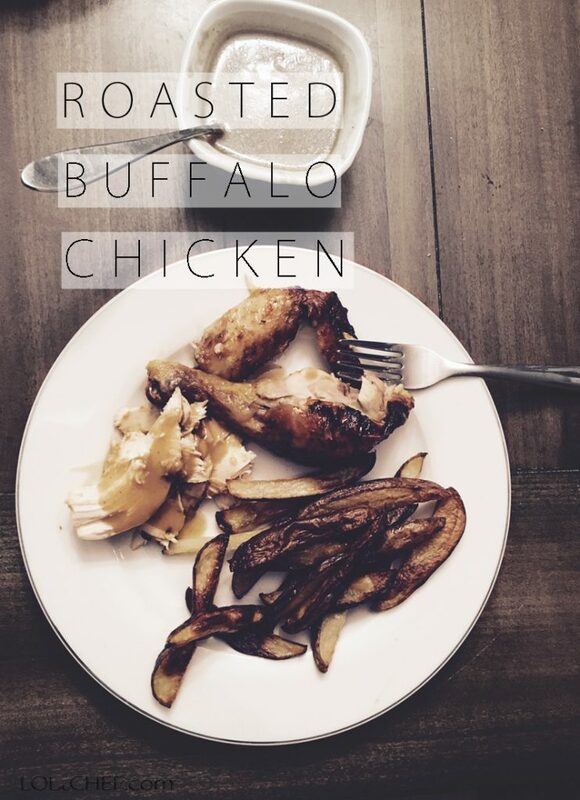 I’ve never heard of this type of buffalo roasted chicken recipe before so I gave it a try. I used a clean large bucket I found in my garage and made a brine with hot sauce flavors in it and let the chicken soak in it for at least 8 hrs. The I roasted it in more buffalo sauce flavors and made a gravy with the chicken drippings that were full of chicken juice and buffalo sauce ingredients. I do have to say that the chicken and gravy was very popular. Place all the ingredients in the large bucket and add hot water and stir dissolving the sugar. 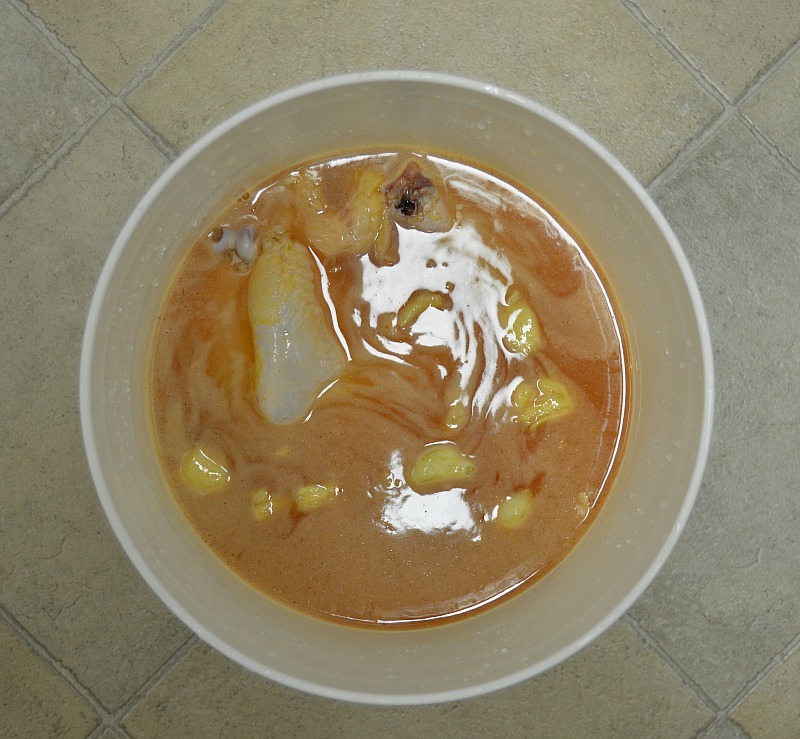 Submerge 6-7 lb chicken in mixture, cover and place in refrigerator for at least 8 hrs or overnight. Hot buffalo wing flavor in a whole roasted chicken. Whisk ingredients well and brush on chicken and on breast under skin in a thin layer only using about 1/4 of the buffalo sauce. Turn oven on to 375 degrees place chicken in the oven and let cook for about 1 hour. After about an hour, check chicken and add brush with more sauce. Repeat about every 30 minutes, you want to keep saturating the chicken with the flavors. It should take about 1 1/2 – 2 hrs to cook completely. I like to turn the temperature up to 425 at the last 15 minutes of cooking to crisp the chicken. Cook chicken per package directions, once it reaches 180 degrees in the breast with a meat thermometer it is done. Always follow package cooking instructions for the chicken. Chicken is done when juices run clear or meat thermometer reads 180 degrees in the breast. 2 cups of the juices from the roasting buffalo flavored chicken. In a small sauce pan whisk all ingredients and bring to a boil. Reduce heat and simmer for about five minutes. Remove from heat, let cool and place in a gravy bowl and serve with chicken. 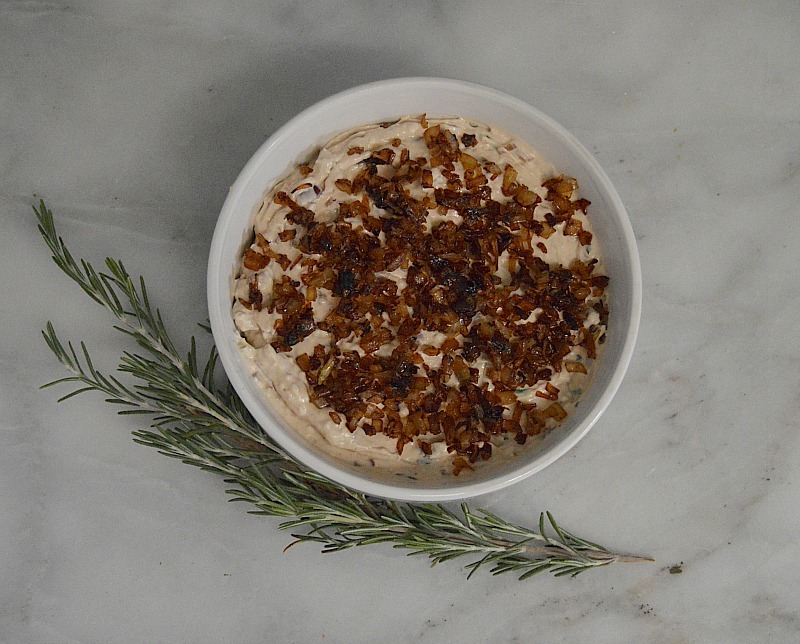 See recipe for Onion Blue Cheese Dip.